Another winter storm is dousing Southern California with heavy rain Thursday, putting the region at "high risk" for excessive rainfall, according to the National Weather Service. The storm also brings the risk of damaging winds and flash floods in vulnerable wildfire burn zones. 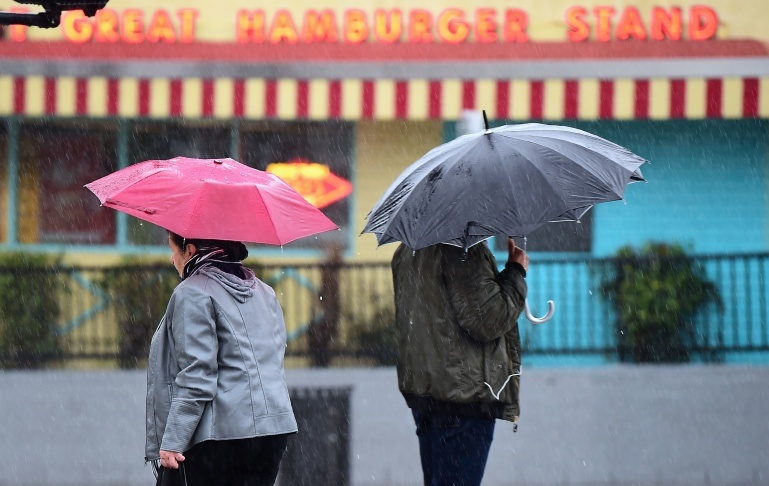 The heavy downpour is expected to keep up through the afternoon and rain rates could reach about a half-inch per hour, which means street flooding and debris flows are possible. 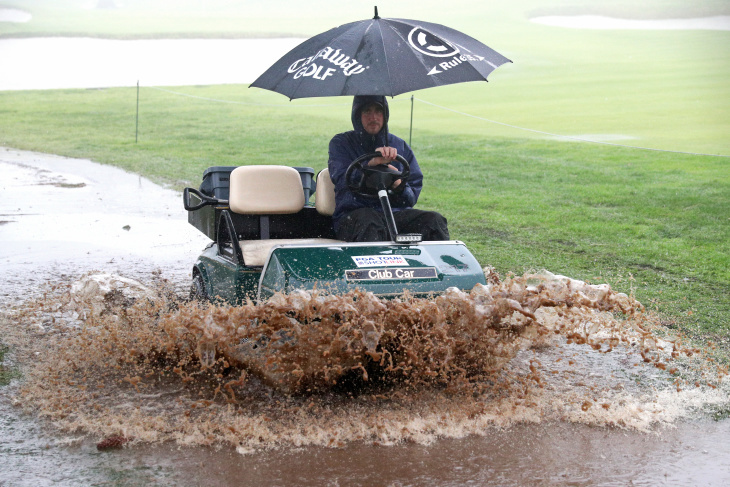 One positive aspect was that today's rains pushed Southern California over the area's average annual rainfall. We didn't hit this mark for the 2017-2018 rainy season. The metric used by LAist/KPCC reviews data from weather stations in more than 20 locations across Southern California, ranging from Newport Beach to Santa Barbara, and including inland areas such as Mount Wilson and Redlands. Forecasters issued a Flash Flood Watch in the Malibu area "for the first year burn areas, with a chance of significant debris flows," later expanding that to include all L.A. County mountains and areas outside burn zones. Laguna Beach was preparing for potential flooding, according to NBC L.A. The heavy rains led to water spilling over the Matilija Dam near Ojai, according to the National Weather Service. A High Wind Warning is in effect through Thursday in Ventura County. Mountains ranges there could see gusts up to 60 miles per hour. Meanwhile, L.A. County mountains, excluding the Santa Monica Mountains, are under a Wind Advisory, with gusts up to 55 miles per hour expected. All that rain is being carried in by an atmospheric river, which forms out in the Pacifoc Ocean and gathers abundant moisture as it travel toward land, often driven by high winds. The storm system can hold more than 10 times the amount of water that flows in the Mississippi River. Also on Thursday, the National Oceanic and Atmospheric Administration (NOAA) announced that El Niño conditions have officially arrived in the Pacific Ocean, meaning we could face more wet weather over the next few months. "While sea surface temperatures are above average, current observations and climate models indicate that this El Niño will be weak, meaning we do not expect significant global impacts through the remainder of winter and into the spring," Mike Halpert, deputy director of NOAA's Climate Prediction Center said in a press release. The ocean-based weather phenomenon forms due to above-average sea surface temperatures in the central Pacific Ocean, near the equator. Megan Erwin, Aaron Mendelson, and Mike Roe contributed to this story. 11:45 a.m. This article was updated with information about Southern California water totals hitting normal annual levels. 9:35 a.m. This article was updated with information from NOAA.